Sipping acidic drinks such as fruit teas and flavoured water can wear away teeth and damage the enamel, an investigation by scientists has shown. The King’s College London team found that drinking them between meals and savouring them for too long increased the risk of tooth erosion from acid. The research, in the British Dental Journal, looked at the diets of 300 people with severe erosive tooth wear. It said the problem was increasing as people snacked more. Fruit squashes, cordials, fruit teas, diet drinks, sugared drinks and flavoured water are all acidic and can cause wear and tear to teeth, the researchers said. And continuously sipping or holding these drinks in the mouth before swallowing increased the risk of tooth erosion. Dr Saoirse O’Toole, the lead study author, from King’s College London Dental Institute, said: “If you drink things for long periods of time, greater than five minutes, or if you play with things in your mouth or if you nibble on fruit over a few minutes rather than eating them as a whole fruit – these are things that can really damage your teeth. “If you’re going to have an apple as a snack at lunchtime, then try not to have anything acidic later on in the evening. “If you are going to have a glass of wine in the evening, then don’t have your fruit tea in the morning. 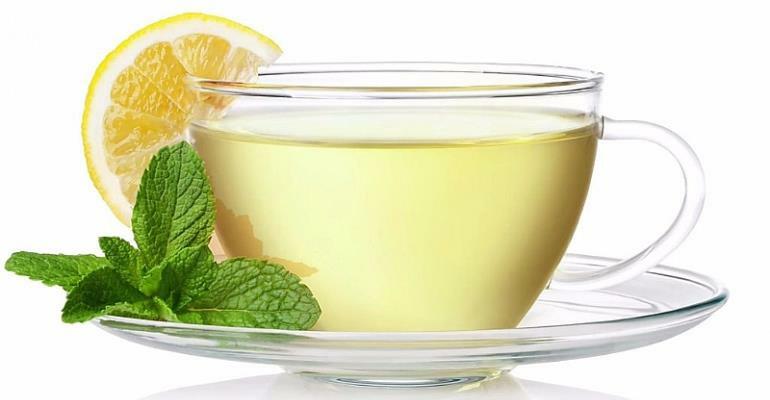 The researchers found people who had drinks such as water with a slice of lemon or hot fruit-flavoured teas twice a day between meals were more than 11 times more likely to have moderate or severe tooth erosion. But this figure was halved when the drinks were taken with meals. Sugar-free soft drinks were as erosive as sugar-sweetened ones, the report said. And vinegars and pickled products could also lead to tooth erosion. Russ Ladwa, who chairs the British Dental Association’s health and science committee, said of acidic drinks: “Having them with a meal helps to minimise the damage because chewing meal food increases the production of saliva, which is alkaline and acts a buffer to dilute acidic foods and drinks. And using a straw would avoid the acid in drinks making contact with the teeth. Mr Ladwa added that consuming water, nutritious drinks such as milk and having neutralising food such as cheese after acidic food or drink was a good idea. The latest research shows that most children and adolescents in Britain have tooth-surface loss due to dental erosion. It is also recognised as a major cause of tooth damage in older generations.